To help industrial, educational, and research organizations plan and obtain nuclear research reactors quickly, General Electric offers a new seven-point program. By providing a large quantity of neutrons at power levels from one watt to 5000 kw, General Electric research reactors can be used as neutron beam generators, for production of radioisotopes, irradiation studies, and nuclear engineering studies. 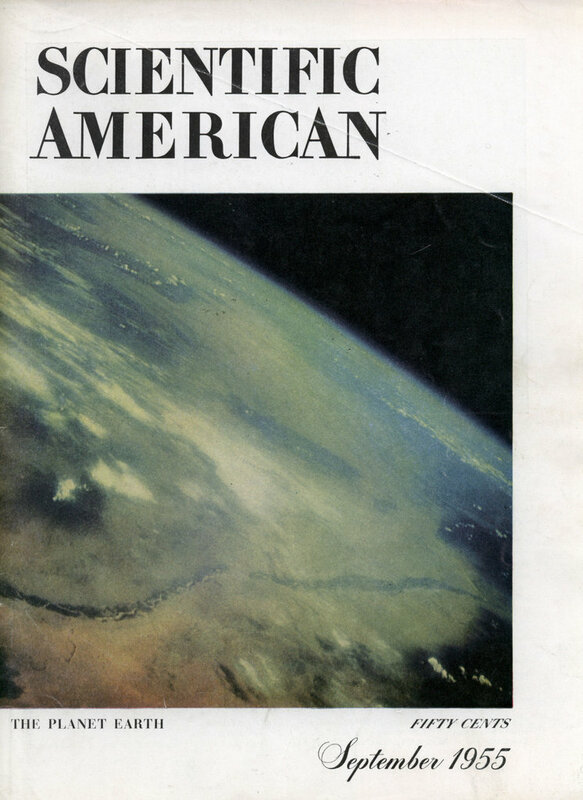 The use of these research reactors will be governed by the Atomic Energy Act of 1954. G.E. will also design and manufacture components for nuclear reactor systems. Wide range of research reactors offered by G.E. 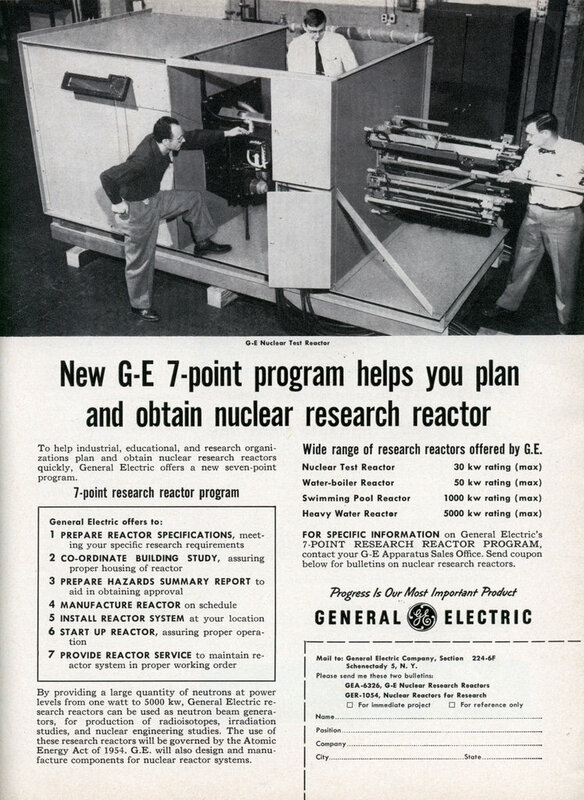 FOR SPECIFIC INFORMATION on General Electric’s 7-POINT RESEARCH REACTOR PROGRAM, contact your G-E Apparatus Sales Office. Send coupon below for bulletins on nuclear research reactors.